When US-born goalie David Mather showed up to this year’s USBOXLA Nationals in San Jose, things seemed a bit different. Actually, a lot different. Mather, who attended the Nationals in 2012 as a player with the Junior Stealth, was in California this year coaching the Seattle Starz and couldn’t believe what he was witnessing. Heading into this year’s Nationals, USBOXLA staff were well aware that the 2016 edition would be the biggest in the association’s history. Already moving the Nationals from Los Angeles to San Jose’s massive Silver Creek Sportsplex to accommodate an anticipated bigger turnout, organizers were forced to book another venue weeks before the Nationals started in order to have enough room for all the coming-soon action. Silver Creek’s exterior was decked out in a colossal 50 foot USBOXLA banner that could be seen several streets away. This year’s Nationals included a novice division for the first time, ‘B’ divisions to offer more opportunity to clubs around the country, as well as a pre-tournament, USBOXLA Academy-hosted clinic, the always amped-up Rude Brand Kill’r Shootout and a Saturday night All-Star series between Team USBOXLA and a tournament best-of roster. “There was just always something happening,” added Jenner. “Even when players weren’t playing, they were constantly engaged. That start included the previously mentioned clinic, which like the competing clubs, included instructors from all over the country and Canada. University of Denver coaching duo Bill Tierney and Matt Brown were there, Vermont’s new head coach Chris Feifs, as well as the likes of Toronto Rock captain Colin Doyle, USBOXLA co-founder and event organizer Shaydon Santos, Shewchuk and former Colorado Mammoth teammate John Gallant, and Mather. At the conclusion of the clinic, the tournament was underway. Clubs from Arizona, California, Colorado, Connecticut, Georgia, Minnesota, Pennsylvania, Texas, Washington and Canada competed at novice, pee wee, bantam, midget and high school elite levels, and the game play was non-stop, literally. “On the Saturday, I coached my first game at 8am and my last one at 10pm,” said Mather. “It was a pretty full 14-hour day,” joked the Seattle stopper. 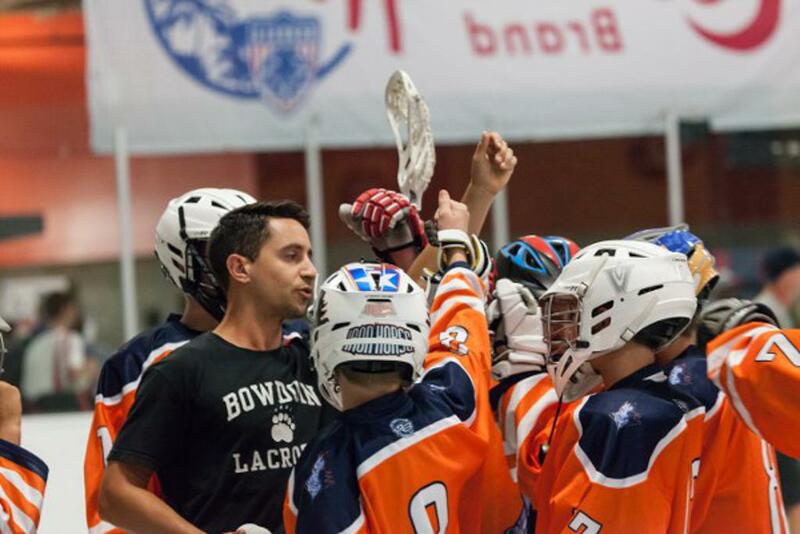 Jenner, who in addition to playing collegiately in the US and professionally on both sides of the border, has also coached youth box lacrosse in British Columbia. He was impressed with not only the number of American youth competing at this year’s Nationals, but the quality of play too. “Obviously box is in its infancy in a lot of places, but the American talent across the board was really good,” he said. “You could see some of the clubs that have been doing this for a while were stronger in a lot of aspects, but I gotta tell you, I was impressed with many of the teams there. While US-based teams made up a majority of the tournament, Canadian clubs also took part, this year a trio from British Columbia making the swing down to San Jose – Junior (Vancouver) Stealth, Chilly Willy and BC Outlaws. “The Canadians give us a benchmark to work towards,” said Mather, who after playing in the Seattle area, has since suited up for both British Columbia Junior ‘A’ and Senior ‘A’ sides. “If the US wants to be competitive in box, that’s the level we need to be at in every age group. USBOXLA has not only attempted to develop their players like they do in Canada, they’ve also taken the same route with their referees and rules. 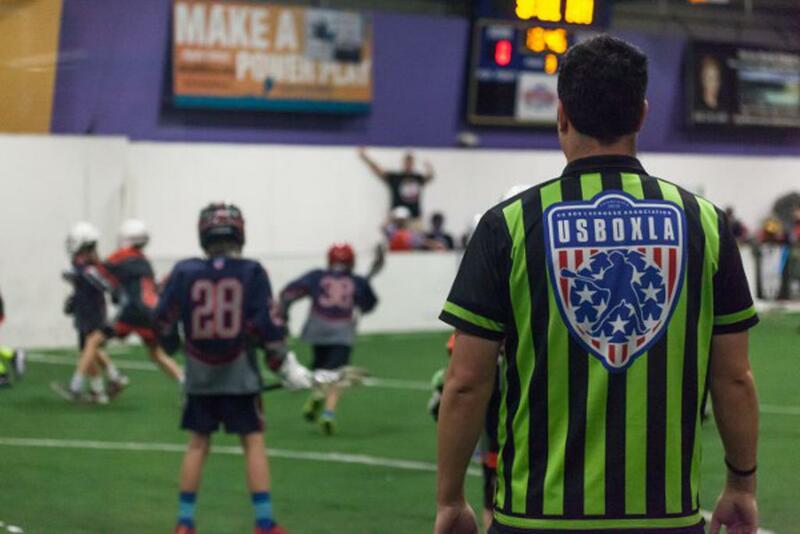 Player safety through proper officiating has been as important to the association as player development, and at the 2016 Nationals, USBOXLA officials took another step in their overall development. This year’s event hosted a level two certification course for their most elite officials, designed to challenge referees to ensure gameplay is by the exact standards of the US Box Lacrosse Association Rules and Situational Book. 14 officials from four different states, as well as an NLL-experienced ref from Canada, took part in the Friday morning session. Safety is clearly paramount, but so is having a blast playing box lacrosse. On Saturday night, things really got turned up when the Rude Brand Kill’r Shootout started. For those that weren’t fortunate enough to witness this event, if you grew up watching the And 1 Mixtape Tour, think that, just box instead of b-ball. With Jenner on the mic and what felt like the entire Sportsplex pressed up against the rink glass, over 150 shooters lined up for their shot at a crisp hundred-dollar bill. The rules are pretty simple. The shootout is split into two divisions – bantam/midget and novice/pee wee. Top goalies at the tournament stood guard while each player attempted to get their shot by them. You could miss once, but after failing to find the back of the net for a second straight time, you were out of the competition. The winner of each division got paid, literally. Down to five shooters in the younger bracket, Jenner started challenging players to snipe specific shots to make things even more interesting. The Atlanta Revolution’s Evan Suh was one of those the event’s MC dared to be different. “I told him to go backhand,” said Jenner, who wasn’t sure the state-side sniper would bite on his bait. “He ran down the floor, does this pivot, goes backhand and just absolutely roofs it top corner. The entire place went bananas! While box lacrosse is definitely about skill, toughness and an ability to adapt, it’s also about what Jenner just described. 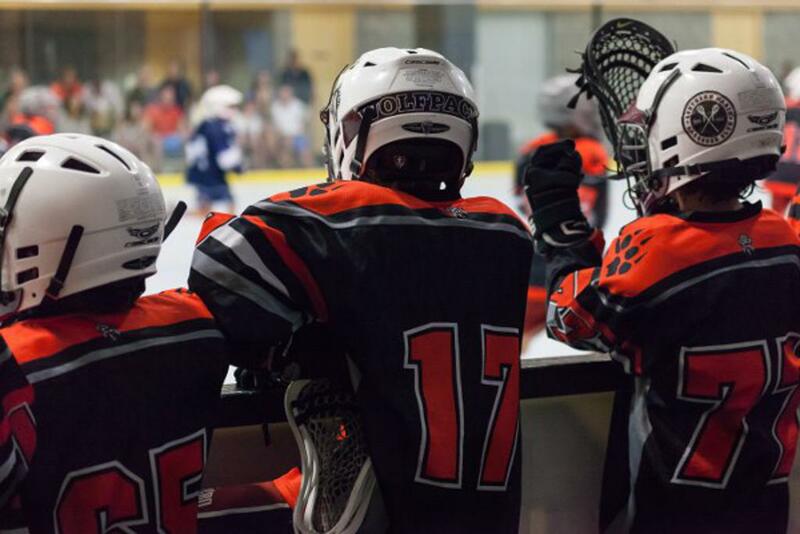 In Canada, summers are spent playing box lacrosse, something Shewchuk feels Americans could benefit from greatly both on and off the playing field. “Club lacrosse all summer can be very stressful, it can be very expensive and it’s always about me, me, me,” he added. “Where am I going to school? What coach is going talk to me? It was four years between when Mather first played in the Nationals to coaching in the tournament today. No doubt, even just pulling into the parking lot at Silver Creek, a lot has changed. What will the Nationals look like another four years from now? “Hopefully we keep growing and get more and more clubs,” Mather said enthusiastically. “I grew up playing hockey in the US, where you’d win state, then move onto the regionals and then the nationals. Shewchuk sees similar growth happening, not just at the three-day event, but all over the country. 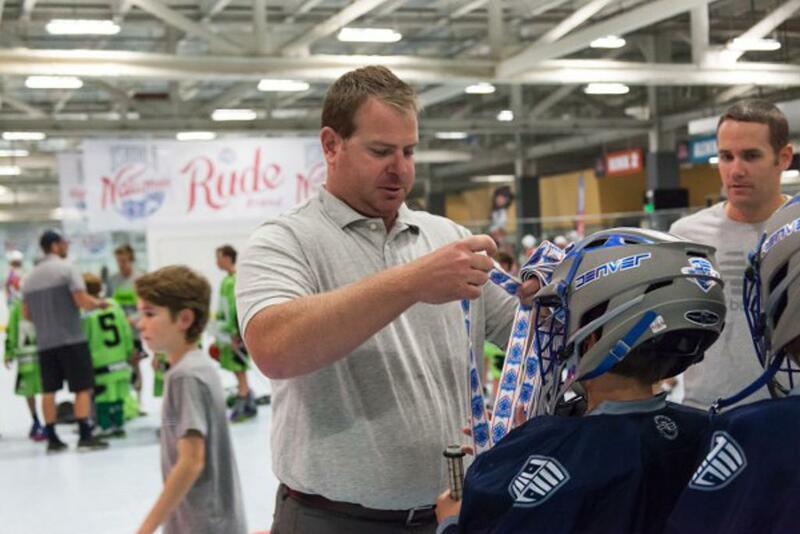 “I feel like in the last two years USBOXLA has grown exponentially,” he stated – the association currently sitting at over 7,000 members in the US and projecting over 10,000 at this time next year. “In five years, I see box getting bigger and bigger, better and better. 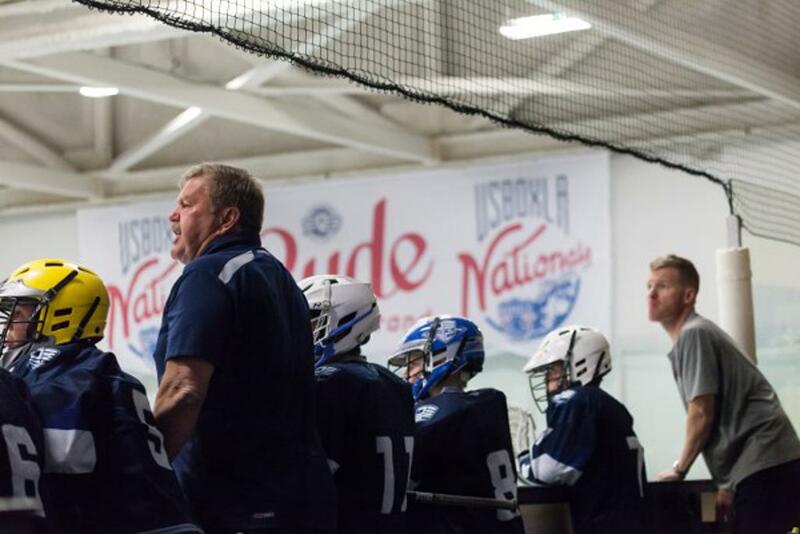 Within USBOXLA we have people that grew up living and loving this sport, teaching the game and establishing a real culture for box lacrosse in the US. 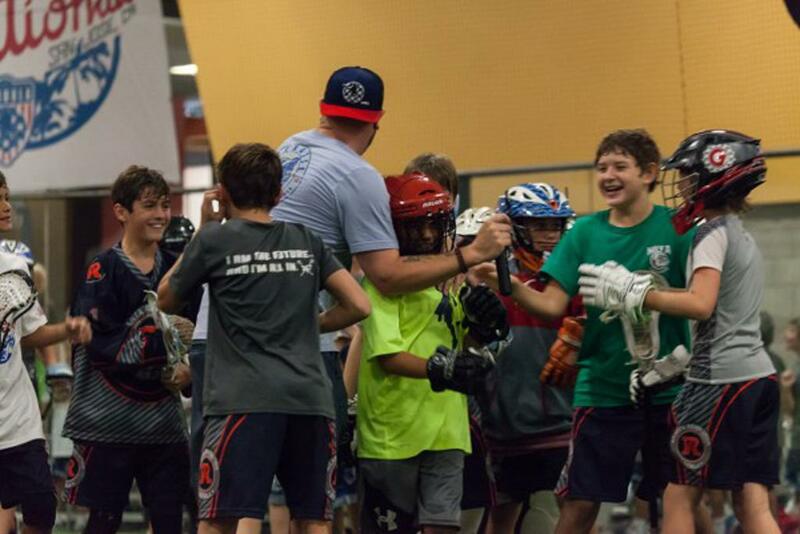 The Nationals – by far the biggest youth box lacrosse tournament in the US past, present and undoubtedly future – are just that. 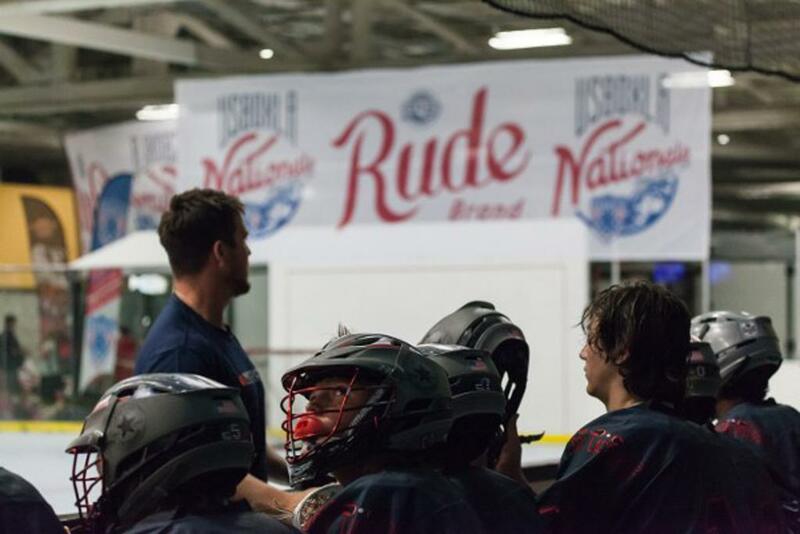 A Canadian box lacrosse inspired culture shock that gives Americans a glimpse of what real box lacrosse is all about. 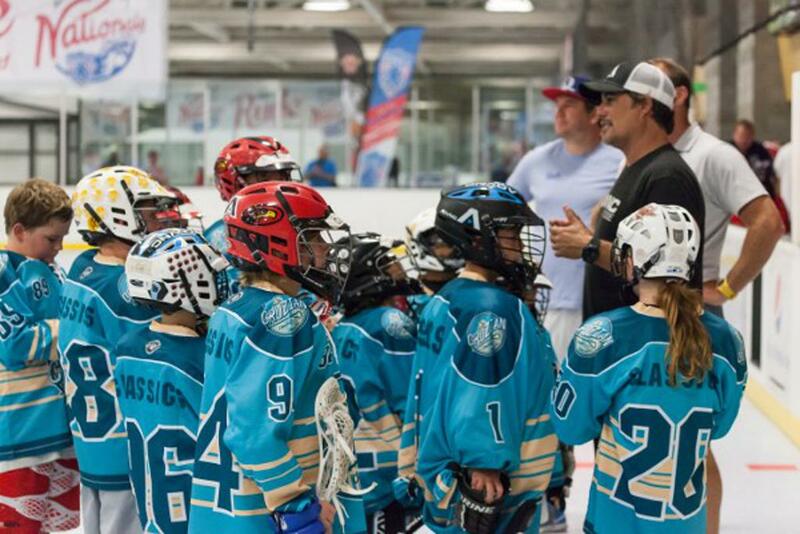 What took place in San Jose in recent weeks is the same thing that happens in places like Whitby, Victoria, Calgary and any other Canadian city that lives and breathes box lacrosse. 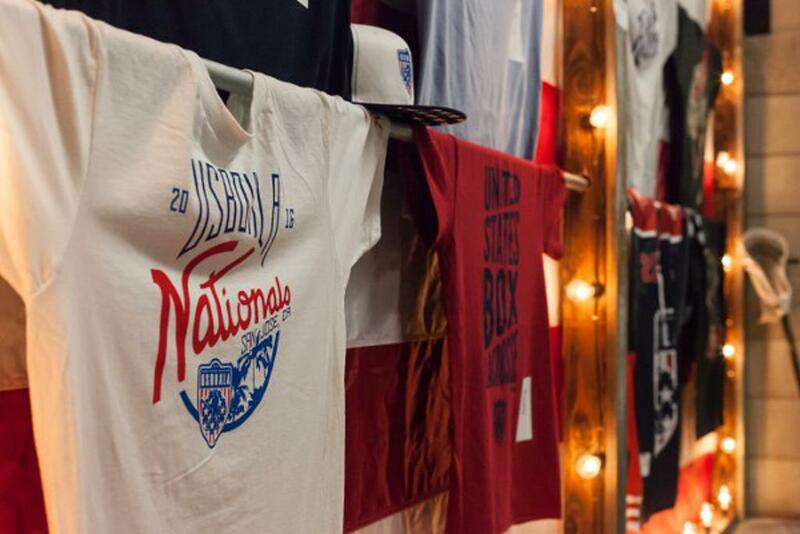 The 2016 edition of the Nationals is proof that box lacrosse – legitimate box lacrosse in fact – has arrived in the US, and guess what, it’s only getting bigger.